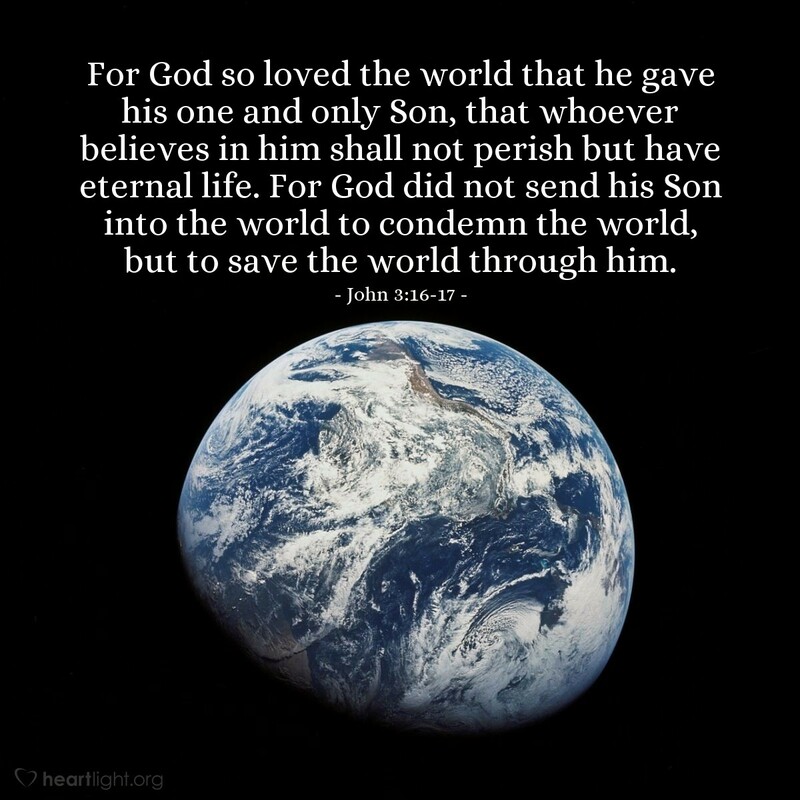 Jesus came to save the world. Jesus came to save you. Jesus came to save me. Why? Because of the Father's love! Holy and Righteous Father, thank you for your love. I know I didn't earn it or deserve it, but thank you. Until the day I see you face to face and express my appreciation and my praise, please know my heartfelt gratitude and my deep and abiding joy because of your plan, your Son, and your salvation. I thank you in Jesus' name. Amen.